SEAKEEPER, INC. (hereinafter “SEAKEEPER, INC.” or “Seller”) is pleased to provide a limited warranty that covers only the products manufactured and sold by SEAKEEPER, INC.  In addition, SEAKEEPER, INC., warrants that the product covered under this warranty (hereinafter the “Product”), when properly installed and used during this warranty term, is free from defects in material and workmanship and will perform essentially as stated in SEAKEEPER, INC.’s applicable specifications. This warranty does not cover third party equipment, hardware or software even if installed, connected or loaded into and/or onto the Product if outside the components included in the Product scope of supply. THE FOREGOING EXPRESS WARRANTY CONSTITUTES SELLER’S SOLE WARRANTY OBLIGATION, AND SHALL BE IN LIEU OF AND EXCLUDES ALL OTHER WARRANTIES, EXPRESS OR IMPLIED, BY OPERATION OF LAW OR OTHERWISE INCLUDING, WITHOUT LIMITATION, THE IMPLIED WARRANTIES OF MERCHANTABILITY AND FITNESS FOR A PARTICULAR PURPOSE (WHETHER KNOWN TO SELLER OR NOT), AND ALL OTHER SUCH WARRANTIES ARE HEREBY EXPRESSLY DISCLAIMED BY SELLER AND WAIVED BY CUSTOMER/BUYER/OWNER/END USER. IN NO EVENT SHALL SEAKEEPER, INC. BE LIABLE FOR ANY SPECIAL, PUNITIVE, DIRECT, INDIRECT, INCIDENTAL OR CONSEQUENTIAL DAMAGES FOR BREACH OF ANY WARRANTY OR OTHER OBLIGATION ARISING OUT OF THE SALE OF THE PRODUCTS, OR FROM THE USE OF THE PRODUCTS OR ANY INABILITY TO USE THE PRODUCTS, EVEN IF ADVISED OF THE POSSIBILITY OF SUCH DAMAGES. This warranty covers parts and labor only, or otherwise as defined in a commercial agreement / purchase order, and/or SEAKEEPER, INC.’s proposal / quotation, and normal reasonable shipping charges of repaired or replacement items from SEAKEEPER, INC.’s facility to the customer (hereinafter the “Customer”, “Buyer”, “Owner”, or “End User” where applicable), provided that such Product has been sent to SEAKEEPER, INC.’s facilities as instructed by SEAKEEPER, INC. The warranty coverage is available no matter in which country the problem or malfunction occurred. 2000 (two thousand) operating SEA hours, subject to verification and confirmation by SEAKEEPER, INC.
A Warranty Registration must be fully completed and sent to SEAKEEPER, INC., for review, approval and registration upon delivery of the vessel to the first retail customer. Warranty registration and expiration date confirmation can be achieved by providing SEAKEEPER, INC., a copy of the original bill of sale, purchase agreement, Owner’s name, address and SEAKEEPER Stabilizer Serial Number along with current RUN / SEA hours to SEAKEEPER’s warranty registration department within 30 days of purchase. For removal of doubt, it is clarified that the activation date shall in no event affect the warranty period set forth herein. “Owner” is defined as the first retail customer (purchaser), or subsequent customer (by transfer), of the SEAKEEPER Product as identified in SEAKEEPER warranty registration(s). Before any warranty work is performed, verification of the warranty status must be confirmed by SEAKEEPER, INC., or a SEAKEEPER, INC., certified DEALER (hereinafter “DEALER”). Written notice of claimed defect(s) must be given to SEAKEEPER, INC., within the Warranty Period, and within 30 (thirty) days from the date any such defect is first discovered. If any part of the Product is believed to be defective the Customer/End User or its permitted transferee shall notify SEAKEEPER, INC., and send a photograph of the Product Serial Number and any known defective part and a photograph of the hours shown on the Product display screen, together with any other information reasonably requested by SEAKEEPER, INC. to analyze the problem and confirm the warranty coverage. SEAKEEPER, INC., will repair or replace the Product, or part of the Product, proven to be defective, at its sole discretion, in a timeframe provided by SEAKEEPER, INC., on a reasonable best effort basis. SEAKEEPER, INC., will, in its sole discretion, provide options for repair, replacement using either a factory remanufactured Product or new Product depending on availability. SEAKEEPER, INC., supplied parts must be installed by a SEAKEEPER, INC., factory technician or DEALER and operation confirmed for this warranty to remain in effect, unless otherwise explicitly authorized and agreed upon by SEAKEEPER, INC.
SEAKEEPER, INC., Product replaced as part of this warranty will be covered under this warranty for the remainder of the original full Product warranty term, unless the original warranty termination date is less than 6-months from the installation date of the replacement Product(s), at which time the replacement Product(s) will be covered by a limited 6-month warranty from the date of installation. SEAKEEPER, INC., will pay reasonable travel and labor costs of a SEAKEEPER, INC., factory technician or by a DEALER (technician). Approval from SEAKEEPER, INC. must be in writing prior to travel and performance of service work. SEAKEEPER, INC. warrants that its software and hardware designed for use with the Product will execute its programming instructions when properly installed and used. SEAKEEPER, INC. does not guarantee that the operation of the Product or software, or hardware will be uninterrupted or free of errors. Any installation, repair or any handling of the Product shall be done only by an authorized person trained and explicitly authorized by SEAKEEPER, INC.
ANY UNAUTHORIZED MODIFICATION OF THE PRODUCTS AS SHIPPED WILL RESULT IN VOIDING THIS WARRANTY. An application or installation method not approved by Seller, including improper or inadequate site preparation, faulty installation, handling during maintenance or otherwise, if any, by the Customer and/or the End User, as well as to defects attributable to loading/shipment/delivery of the Product or any other defect or damage not attributable to SEAKEEPER, INC. Defects resulting from Customer’s or any third-party interface of equipment, hardware or software if installed, connected or loaded into and/or onto the Product. Misuse, operator error or fault caused by the failure of an external unit (i.e. Sea Water pump, Ships power supply). Any gross negligence or willful misconduct. Excessive exposure to water (salt or fresh) including submersion (partial or full) of any Electrical or Electronic components or major component such as the gyro sphere. Operation and Maintenance according to the guidelines and recommendations specified in the SEAKEEPER, INC., Operation Manual. Proof of such compliance shall be provided upon request. Travel costs including but not limited to airline tickets, accommodation and living expenses of SEAKEEPER, INC., technicians or a DEALER, unless otherwise specified and authorized by SEAKEEPER, INC. Overtime labor rates are not covered. Labor performed outside normal working hours to complete a warranty service will be paid by SEAKEEPER, INC. at the standard retail rate. Travel labor only up to 4 hours, unless otherwise specified and authorization by SEAKEEPER, INC.
Labor and material costs incurred and/or required in order to gain access to the product for removal and replacement including, but not limited to any custom or special rigging services, cranes, or any rental equipment required. SEAKEEPER, INC., shall not be responsible for any loss of time, inconvenience, loss of use, meals, lodging, communication costs, transportation, cargo damage, overtime, towing, any haul-out, dockage or harbor charges, or other consequential damages resulting from a defect covered by this Limited Warranty. SEAKEEPER INC., does not accept any liability for consequential, punitive, special, contingent, indirect or incidental damages, even if advised of the possibility of such damages. This warranty does not cover replacement or repair of any components damaged due to Surface Corrosion (Cosmetic), or other corrosion damage of any components due to water exposure or electrolysis (stray current), or the costs associated with the repairor replacement. Normal preventive and scheduled maintenance and component inspections/replacements as specified in the SEAKEEPER, INC., Operation Manuals and any other Maintenance Schedule documentation. This warranty does not cover the installation of the Product (Goods) on a vessel, or the design of any particular installation, including foundation. A Buyer (Customer), installer or OEM/boat builder is responsible for contracting with a naval architect to determine the correct design for installation on the Buyer’s (Customer’s) specific vessel, and for contracting with an installer or OEM/boat builder for actual installation on that vessel in accordance with the design. For the convenience of the parties, and to assist the Buyer’s (Customer’s) naval architect and boat builder in making their own independent professional decisions, Seakeeper (Seller) has placed on its website some generic drawings of various installation designs which may be useful as a starting point to the (Buyer’s) Customer’s own naval architect and boat builder in connection with their work on Buyer’s (Customer’s) specific vessel. SEAKEEPER, INC. (SELLER) MAKES NO WARRANTIES, EXPRESS OR IMPLIED, INCLUDING NO WARRANTY OF MERCHANTABILITY OR FITNESS FOR A SPECIFIC PURPOSE (WHICH WARRANTIES ARE HEREBY EXPRESSLY DISCLAIMED) THAT THE GENERIC DRAWINGS OF VARIOUS INSTALLATION DESIGNS PROVIDED BY SEAKEEPER, INC. (SELLER) WILL BE APPROPRIATE FOR BUYER’S (CUSTOMER’S) VESSEL, BUYER’S (CUSTOMER’S) OWN NAVAL ARCHITECT AND BOAT BUILDER MUST USE THEIR INDEPENDENT PROFESSIONAL JUDGMENTS IN USING OR MODIFYING THESE DRAWINGS TO FIT THE SPECIFIC NEEDS, DESIGN AND LOAD-BEARING REQUIREMENTS OF BUYER’S (CUSTOMER’S) VESSEL. All the above shall apply to any applicable omission to act. In these cases, repairs will not be completed under this Warranty. Providing evidence of the date of sale to thefirst retail purchaser, verifying the ‘in-service’ date. Notifying SEAKEEPER INC., or DEALER within 30 days of the discovery of failure. Installing, commissioning, operating and maintaining the Product in strict accordance with SEAKEEPER INC., policies and guidelines and outlined in the SEAKEEPER INC. 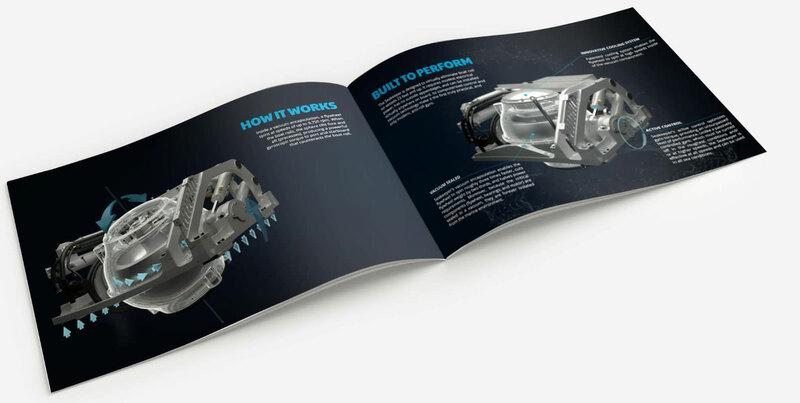 Installation and Operation Manuals. Providing sufficient access to perform regular maintenance and typical repair activities. Providing sufficient access to and reasonable ability to remove the Product from the installation in the event of a warrantable failure. Incremental costs and expenses associated with Product removal and reinstallation resulting from non-standard installations. Costs associated with rental of any equipment needed during the replacement or repair of the Product. Costs associated with labor overtime and expedited shipping requested by the Owner. All downtime expenses, fines, all applicable taxes, and other losses resulting from a warrantable failure. This limited warranty is transferable to a subsequent Owner, but only for the remainder of the unused portion of the limited warranty. To transfer the warranty, written notice must be given to SEAKEEPER within 30 days of such transfer to the subsequent Owner. Notice may be provided by email, mail or fax and include a copy of the bill of sale or purchase agreement, new Owner’s name, address and SEAKEEPER Stabilizer Serial Number and RUN / SEA hours to SEAKEEPER’s warranty registration department within 30 days. Upon processing the transfer of warranty, SEAKEEPER will record the new Owner’s information. In case SEAKEEPER, INC., provides advance replacement parts to the Customer, it is the Customer’s responsibility, to return to SEAKEEPER, INC., (or to one of SEAKEEPER, INC’s locations as instructed by SEAKEEPER, INC.,) all faulty parts from the vessel, with shipping costs pre-paid by SEAKEEPER, INC. The Customer will receive a Return Authorization (RA) number from SEAKEEPER, INC., prior to the shipment. SEAKEEPER, INC., reserves the right to invoice the Customer if a part is not returned to SEAKEEPER, INC., within 60 days from shipment of the new part. SEAKEEPER, INC. defines an “out of the box” failure as follows: A non-operating System within 1 (one) month from the date commissioning is completed by an OEM or Authorized Installer (DEALER), but in any event not more than 50 SEA hours of use, at which time the standard warranty applies. SEAKEEPER, INC. will provide a NEW part in exchange for the faulty one and cover all reasonable shipping expenses. SEAKEEPER, INC., will determine if dispatch of a SEAKEEPER, INC., technician or SEAKEEPER, INC., DEALER is necessary in which case SEAKEEPER, INC., will cover as part of this warranty all reasonable travel costs and all reasonable labor expenses (excluding overtime). All travel, accommodation and labor costs must be approved in advance. Any unused parts in good and marketable condition, owned by customer, which are returned to SEAKEEPER, Inc. by a customer must be accompanied by a Return Materials Authorization issued by SEAKEEPER, INC. and shall be subject to a 15% restocking fee. NOTWITHSTANDING ANYTHING CONTAINED HEREIN TO THE CONTRARY, SEAKEEPER, INC., SHALL NOT BE LIABLE FOR ANY SPECIAL, PUNITIVE, INCIDENTAL, INDIRECT OR CONSEQUENTIAL DAMAGES INCLUDING, BUT NOT LIMITED TO, LOST PROFITS, ARISING OUT OF THE PERFORMANCE, DELAYED PERFORMANCE OR BREACH OF PERFORMANCE OF THIS ORDER REGARDLESS OF WHETHER SUCH LIABILITY IS CLAIMED IN CONTRACT, EQUITY, TORT OR OTHERWISE, EVEN IF ADVISED OF THE POSSIBILITY OF SUCH DAMAGES. SEAKEEPER, INC.’S OBLIGATION IS LIMITED SOLELY TO REPAIRING OR REPLACING (AT ITS OPTION AND ONLY AS SET FORTH HEREIN), AT ITS APPROVED REPAIR FACILITY, ANY GOODS OR PARTS WHICH PROVE TO SEAKEEPER, INC.’S SATISFACTION TO BE DEFECTIVE AS A RESULT OF DEFECTIVE MATERIALS OR WORKMANSHIP, IN ACCORDANCE WITH SEAKEEPER, INC.’S STATED WARRANTY. IN NO EVENT SHALL SEAKEEPER, INC.’S CUMULATIVE LIABILITY EXCEED THE TOTAL PURCHASE PRICE SET FORTH IN THIS ORDER. The terms and conditions of this warranty are the entire agreement between the Parties relating to the warranty obligations of SEAKEEPER, INC., to the Products. There are no other express or implied terms or conditions of this warranty.